Ugo Morin's parents, Gabriele Morin and Maria Picinich, were both born in Lussinpiccolo, which today is the town of Mali Losinj on the island of Losinj in the northern Adriatic. It is now a part of Croatia but at the time that Gabriele Morin (born 12 July 1868) and Maria Picinich (born 5 March 1873) were born there it was part of Austria but had a large Italian speaking minority which included Gabriele and Maria. When Ugo was born in Trieste in 1901, that city too was part of the Austrian Empire but again there was a large number of Italian speaking people. Ugo spent his early years in Trieste but the situation there was difficult with very active groups trying to force that city to become part of Italy. Ugo's parents decided to move to a part of Austria that was more peaceful and there he attended school. He spent the years of World War I in Austria then, after the war ended in 1918, he returned to Trieste. There was an Italian irredentism movement which had been active from the end of the 19th century in attempting to have Italian speaking areas brought in to become part of Italy. This movement had been active in Trieste while Morin lived there as a child. The end of World War I saw the collapse of the Habsburg-ruled Austro-Hungarian Empire and arguments followed about which lands would be allocated to Italy. Fiume, now Rijeka in Croatia, was one of these cities that was being argued over but, on 12 September 1919, before agreement was reached, the poet and soldier Gabriele D'Annunzio led Italian nationalists who took Fiume by force. Morin was one of the Italian nationalists who had joined D'Annunzio and then fought under him. Having taken the city, D'Annunzio proclaimed it as part of Italy but the move was opposed by the Italian government. In September 1920 D'Annunzio declared the city to be independent and part of the Italian Regency of Carnaro. He then, rather foolishly one would have to say, declared war on Italy but in December Italian forces attacked Fiume and forced D'Annunzio to surrender. Morin undertook university studies in Fiume while the city was occupied by D'Annunzio's troops, studying science there. There were two main interests in Morin's life, the sea and mathematics. His interest in the sea came through his father and at this stage in his life Morin left Fiume and returned to Trieste where he studied at the Nautical Institute. He was awarded a diploma qualifying him as a captain in the merchant navy but then went to the University of Padua where he studied mathematical sciences. At Padua he was taught by Annibale Comessatti who became his thesis advisor. Morin received his laurea in 1926 from the University of Padua and he was then appointed as Comessatti's assistant. Morin married on 18 June 1927 remaining as an assistant at Padua until 1935. During these years he published a number of works: Sui sistemi di piani a due a due incidenti Ⓣ (1929); Contributi alla geometria degli Sk di Sn Ⓣ (1932); Sui sistemi algebrici di quadriche che hanno a due a due una retta in comune Ⓣ (1933); Sul sistema degli Sh totali di un complesso lineare di Sk Ⓣ (1934); Gli automorfismi del corpo complesso ed il teorema fondamentale della geometria proiettiva Ⓣ (1934); and four works in 1935 including Sulla potenza delle basi di gruppi e corpi Ⓣ. In 1935 he became a lecturer in descriptive geometry at the University of Padua and held this position until December 1942. At Padua he came under the influence of several prominent anti-Fascists so, to understand what was going on, we must give a brief background to the Italian Fascist movement. It had started around 1921 as a nationalist movement following on from the Italian irredentism movement we mentioned above. Led by Benito Mussolini, the Fascists came to power in 1923 and adopted racial policies. 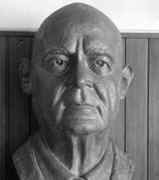 Several of the mathematicians at Padua were very active opponents of Fascism, including Eugenio Curiel (1912-1945), who had been appointed assistant professor of rational mechanics in February 1934, Ernesto Laura (1879-1949), the professor of rational mechanics from 1922 and director of the mathematics seminar, and Giuseppe Zwirner (1904-1979), who worked on ordinary differential equations and was very active in the anti-Fascist Giustizia e Libertà movement. Morin was influenced by these men and also by several other leading anti-Fascists in the University of Padua who were in other departments, particularly Egidio Meneghetti (1892-1961), professor of pharmacology at Padua and a leading figure of the Giustizia e Libertà movement and Norberto Bobbio (1909-2004), who started teaching at the University of Padua in philosophy of law in 1942 and who, in that year, joined the Partito d'Azione, a socialist anti-Fascist party. Morin competed for the Chair of Analytic Geometry at the University of Florence in which he was successful, taking up the appointment in December 1942. He held this chair until February 1946 when he returned to Padua to take up the chair that his former advisor Annibale Comessatti (who died in September 1945) had held. When Morin moved from Padua to Florence in 1942 he certainly did not give up his association with Padua for he frequently travelled between the two cities. He certainly did not want to leave his students and colleagues in Padua and made every effort to keep in contact. In Florence Morin became friendly with Piero Calamandrei (1889-1956), who was professor of law in Florence and a strong critic of Fascism. He also got to know Tristan Codignola (1913-1981), who was a writer and one of the founders of the Partito d'Azione. With his frequent trips between the cities, Morin was able to maintain contacts between the anti-Fascists in Padua and those in Florence. He became a very active member of the Partito d'Azione and was involved in the production of L'Italia Libera, the underground newspaper of the Partito d'Azione. ... one of a small group of people inspired by strong ideals. [He was] a quiet man, with great internal equilibrium, who inspired confidence in a difficult situation, and nurtured mutual trust throughout the difficulties of which we were well aware. I have never seen him upset, even on the many occasions when we lived in fear of unpleasant surprises. He had a taste for irony and tended to diffuse situations. I remember him always having a smile on his face, the smile of someone who has the courage of their convictions and has nothing to hide. It was a time of severe difficulty for Morin who was forced to continually change his hiding place. He travelled between Padua and Florence, as he had before, but now he was forced to do so under a false name. Sometimes he travelled by bicycle but sometimes he travelled in German vehicles pretending to be German. Because he had been brought up in Austria, he was bilingual and able to pass himself off as a German. By the end of November 1944 Morin was acting as the representative of the Partito d'Azione in the National Liberation Committee of Padua and in January 1945 he entered the National Liberation Committee in Venice. He carried out his duties despite being continually hunted by the German police. On 28 April 1945 Mussolini and other Fascist leaders were shot by partisans as they tried to escape. In Venice, the city was already in the hands of the partisans and Allied troops were close to the city. Morin negotiated with the German garrison and, on the afternoon of 28 April, he signed the agreement he had made with the Germans that they would be allowed to leave Venice unharmed provided they guarantee that they would not damage the city, its port facilities and its infrastructure. Morin was elected as president of the National Liberation Committee in Venice on 1 August 1945 and he held this role until he left the committee on 5 March of the following year. Unirationality and rationality problems are, in the field of algebraic geometry, among the most significant topics of the scientific legacy of Ugo Morin. ... Some of the profound themes of twentieth century geometry are intertwined with some of the beautiful geometric ideas that Ugo Morin has developed and nurtured over the course of his life. ... these ideas, and the results they have produced, are still at the centre of conjectures of great fascination and of absolute difficulty. Let us return to Morin's activities following the end of World War II. Of course the war had severely damaged all the educational establishments in Italy and after hostilities ended there was a difficult period of reconstruction. Morin went back to his home town of Trieste to help his colleagues there re-establish the Faculty of Science. In 1946 he returned to his professorship in Padua and he restarted his mathematical career. He did this both with his research, and also by taking a very active interest in teaching. He attended several international conferences on teaching mathematics such as the highly influential Royaumont conference in 1959 organised by the Organisation for European Economic Cooperation, and the meeting in Dubrovnik in 1960. Morin also edited some textbooks for teaching geometry in secondary schools during the 1950s and in the 1960s worked on texts for teachers of mathematics in secondary schools prepared for the Ministry of Education. His works for schools, published by CEDAM (Casa Editrice Dott. Antonio Milani), for use by secondary school pupils were Lezioni di Geometria, parte I: Elementi di geometria analitica; parte II: Curve piane; parte III: Elementi di geometria proiettiva; parte IV: Geometria descrittiva. Curve sghembe e superficie Ⓣ(1951-1960), Algebra astratta e geometria algebrica, parte I: Algebra astratta Ⓣ (1955), Geometria per le tre classi della Scuola media Ⓣ (1958-1966), Elementi di geometria per le Scuole medie superiori, parti I, II, III Ⓣ (1958-1966) and Matematica per la Scuola media, parti I, II, III Ⓣ (1965-67). His publications by the Ministry of Education for school teachers were Gruppi. Anelli. Corpi Ⓣ (1962), Geometria elementare Ⓣ (1962), Primi elementi della teoria degli insiemi. Strutture algebriche. Gruppi. Anelli e corpi. Numeri naturali, interi, razionali Ⓣ (1963), Spazi vettoriali astratti e polinomi Ⓣ (1963), Insiemi e algebra Ⓣ (1964), and Algebra di Boole Ⓣ (1964). Morin did not give up his political ambitions at the end of the war but continued to involve himself in left wing politics. He was nominated for the Chamber of Deputies for the Popular Front in 1948 but was not successful in the ensuing election. From 1951 to 1956 he served as a member of the Socialist Party on the Padua City Council. Many honours have been given to Morin, both in his lifetime and following his death. He was elected as a corresponding member of the Accademia Patavina di scienze, lettere e arti, as a member of the Istituto Veneto di scienze, lettere e arti and as a fellow of the Accademia di scienze, lettere e arti di Udine. He was honoured with election as vice-president of the Unione Matematica Italiana. A high school in Mestre and a research centre "Ugo Morin" in Paderno del Grappa, Treviso, have been named after him. Ugo Morin was a brilliant researcher, an original thinker with imagination and fine geometric intuition. He was able to give so much of himself in his teaching, at all levels, where he devoted so much of himself but also at home. In both he gave a burst of generosity which knew no limitation or thought of danger, but was only aimed at achieving the highest ideals.